Dear, Gentlemen, congratulate your beautiful women with Saint Valentine Day, write nice letter, tell her warm words and compliments but the best decision will be sending her gift. What can be better for woman? Of course nice gift which is made from all heart. Normally, flowers are the primary present on saint Valentine Day. You can enter on page with gifts on our website www.atlantidaagency.com and to order gift for your lady. The best variant will be to come to your lady and spend holiday with your beloved woman. Our International marriage agency Atlantida can help you to organize romantic meeting. Contact manager of Atlantida agency info@atlantidaagency.com or by the phone +3 8 050 9989187 and order romantic tour. Every year people who are in love celebrate Saint Valentine Day but not all know history of this holiday. 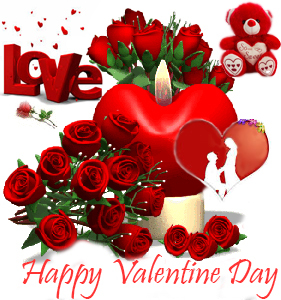 The Saint Valentine Day the 14th of February is wonderful holiday of all who are in love. Is history is so impressive as love by itself. Everything started in 209 year in the period of Rome Empire. There were years of board of the emperor Claudia II. He prohibited to soldiers in legion to marry. He considered that one who is not captured by love feelings and is not connected with marriage can fight more furious. Of course it does not mean that this Decree prevented to fall in love the soldier at all. Finally appeared one person who took responsibility on himself to carry out weddings of loving couples. It was priest Valentine who was born in Terny in one of Rome cities. He standed out with kind soul and exclusive peacefulness. Valentine also reconciled the quarrelled lovers and took an active part in restoration of the relations. By request of soldiers or their wives he transferred love letters, flowers and other presents in honour of different holidays. Such activity of Valentine was absolutely not long. Emperor had know about his acts of bravery and took decision to to stop actions of the rebellious priest. Valentine was sentenced to death.. All tragedy of the martyr was in that he was secretly in love with the daughter of the chief jailer. Before death Valentine wrote her a farewell letter, which was read by her after execution of a sentence. It was signed by phrase “Yours Valentine” which in a consequence became nearly winged (familia expression). Further development of holiday All in Love. 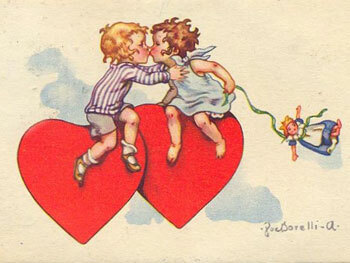 When Saint Valentine Day comes, All who are in love donate presents to each other and thematic cards. 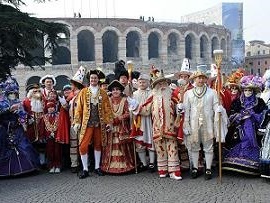 This tradition appeared after canonization of priest in 496 year by Catholic church. Since this moment the Pope Gelatinous declared that the 14th of February is an official St. Valentine's Day. It is celebrated in almost all countries of the world till now. 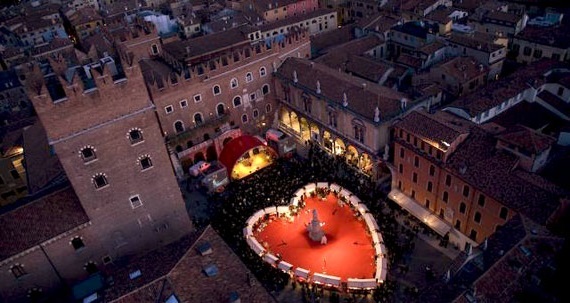 Photo: Celebration of Saint Valentine Day in Verona. We need to take in account that different opinion (double opinion) about Saint Valentine was spread among church attendants but in spite of this fact he was canonized in 1969 year. It is considered that namely from this time was started tradition to give each other small greeting cards of "Valentine's Day card". It was written a lot of songs and love poems which were devoted to love themes. The most important that these poems and songs make people closer to each other and kinder. In accordance of legend, if couple who is in love decided to marry on the 14th of February their marriage will be strong and will bring a lot of happiness and positive emotions to couple. Saint Valentine Day became a reason to say sacred words to beloved person and also became a notification to what extent can be strong Love. Holiday became very popular in different countries at different times and it is celebrated in different ways. 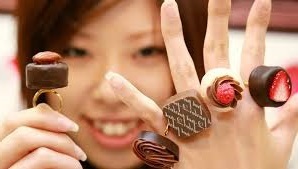 For example, in Japan in the Saint Valentine Day, couples who are in love present confectionery to each other. Chocolate company which has strong influence in a country promoted this tradition. 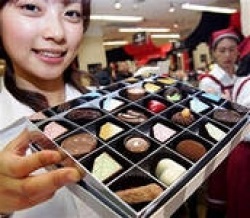 Photo: chocolate Boom in Japan on the 14th of February. Japanese started to celebrate Saint Valentine since the 30th years of last century till nowadays. By the way, men get presents more intensively than women. Namely by this reason, this holiday reminds the 8th of March for Men. Couples from France donate each other jewellery. It is traditional present judging by distinguished character of people and their aspiration to beauty. If in Denmark you will be donated the dried flowers, do not be surprised. Citizens of this country represents their love to each other in such way. In Britain there is a sign on saint Valentine Day. Unmarried ladies wake up till sun rise and look through the window. The first man whom they see will be their soul-mate. 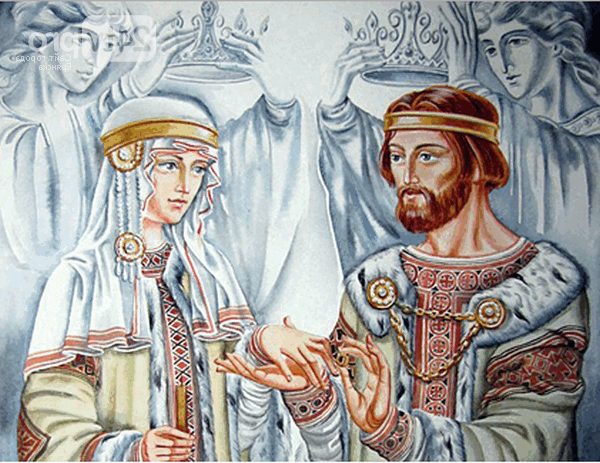 Interesting facts of Saint Valentine Day. It is interesting that first gift "Valentine's Day card" was sent by the duke Orleansky to his spouse after he was captivated by enemies. In spite of the fact that Saint Valentine day started to be celebrated in Europe in 13th century, America celebrates holiday since 1777 year. In Russia and in a countries of Former Soviet Union this holiday is perceived by church ambiguously. Sanctity of Saint Valentine is still under doubt. Muslim world perceives this holiday in negative way. That it is why it is not recommended to Western people who rest or have vocations in Muslim countries to celebrate this holiday. On Jamaica traditions of celebration of Valentine's Day are very extraordinary: ceremony of wedding is carried out without cloths in a presence of other people who are around. It can shock even prepared tourists. Saint Valentine is very romantic, touching and sensual holiday. Present to your beloved person unforgettable evening. It can can be common watching of romantic film at home, it can be visit in theatre or in restaurant or trip in warm countries. It is only your choice! Even hand made Valentine post card can bring very sweet and positive feeling to your beloved one if it is made with love and soul.